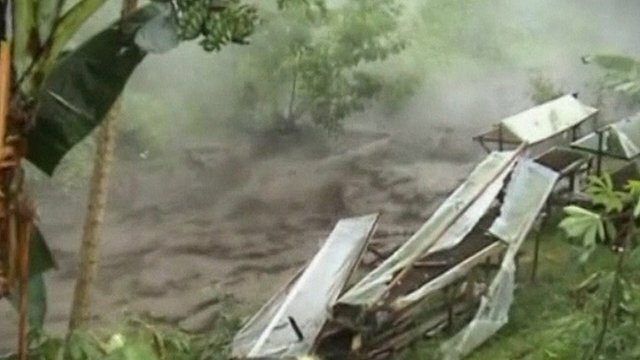 Thousands flee Indonesia volcano Jump to media player Thousands of people in Indonesia have been forced to escape their homes after Mount Gamalama erupted, spewing lava and ash. Indonesian volcano erupts again Jump to media player Thousands of residents have been forced back into emergency shelters after a volcano in central Indonesia unleashed its most powerful eruption in weeks. 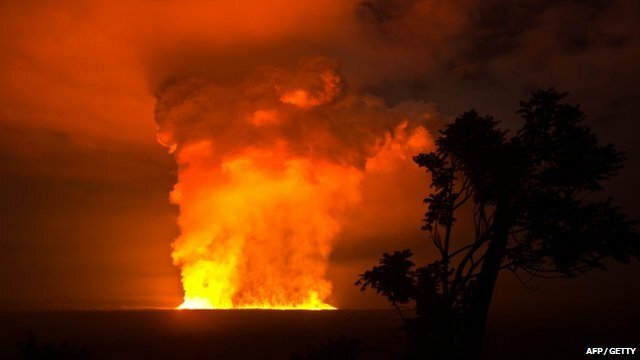 DR Congo volcano is tourism boost Jump to media player Is it possible that a new volcano has suddenly made Congo, a country synonymous with war and tragedy, the worlds hottest tourist destination? 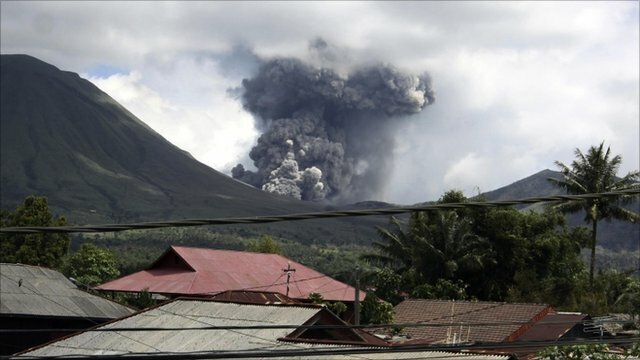 Thousands of people in Indonesia have been forced to escape their homes after Mount Gamalama erupted, spewing lava and ash. 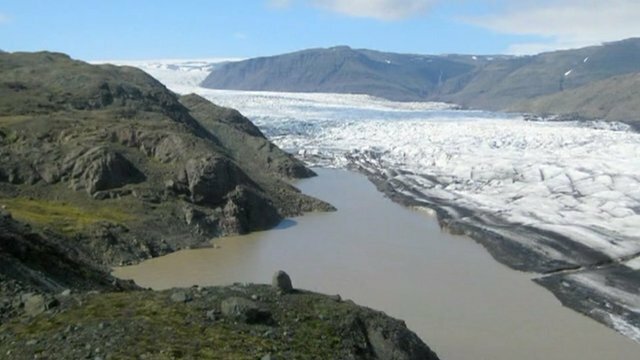 Cold lava flooded roads and rain caused ash to flow through rivers. There were no immediate reports of any fatalities.